Raúl the Third is an award-winning illustrator and author living in Boston, MA. His work centers around the contemporary Mexican-American experience and his memories of growing up in El Paso, Texas and Ciudad Juarez, Mexico. Using only Bic ballpoint pens Raúl has created four graphic novels with author Cathy Camper for their award winning Lowriders series which includes Lowriders in Space, Lowriders to the Center of the Earth, Lowriders Blast from the Pastand the forthcoming Lowriders to the Rescue. Most recently Raúl completed his first authorial project ¡Vamos! 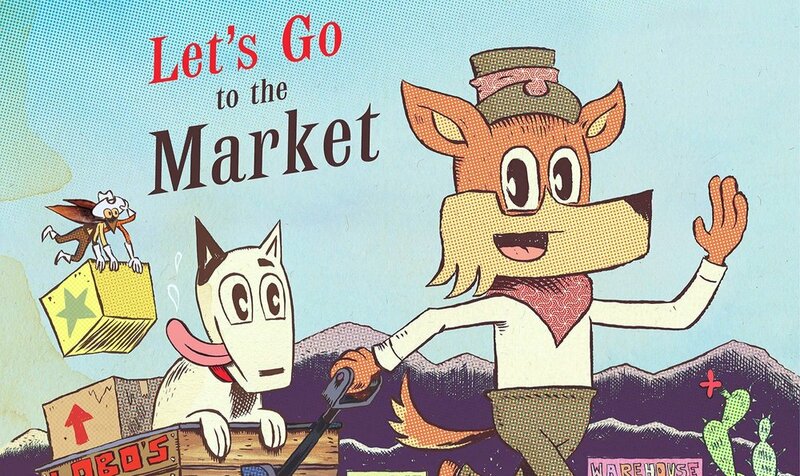 Let's Go to the Market! colored by Elaine Bay. In 2017 Raúl the Third was awarded the prestigious Pura Belpre award which is presented to a Latino/Latina writer and illustrator whose work best portrays, affirms and celebrates the Latino cultural experience in an outstanding work of literature for children and youth. Pre-order ¡Vamos! Let's Go to the Market! before its April 2nd release!